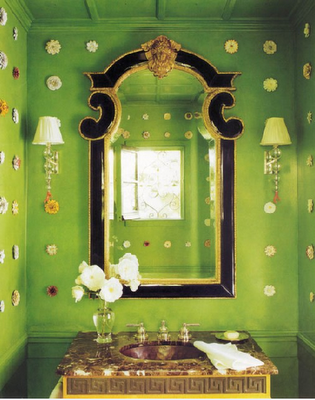 Home » Katie Ridder » powder room » Was it always there? I've mentioned before how important it is to me for a room to reveal itself slowly in order to keep its allure, and Katie Ridder is an expert executor at this. The more I look at each of these rooms the more I find something new I didn't see the first or second time. I can't really put my finger on what makes these spaces enchanting. 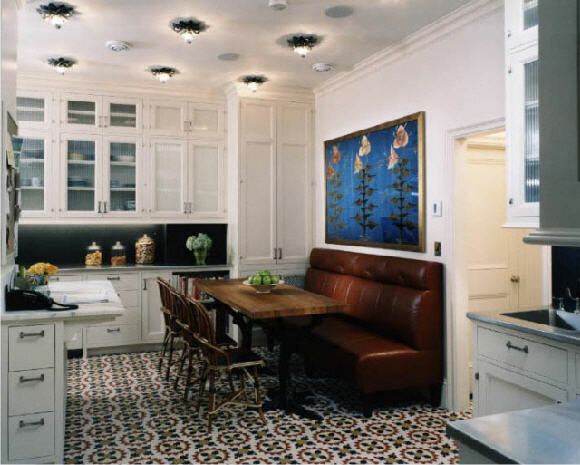 It could be the different elements and textures used or perhaps it's the small details that at first are almost unnoticed such as the lighting fixtures in the kitchen ceiling or how Katie creates an element of surprise by combining gracefully a general wall sconce with an exotic fish wallpaper (last image). 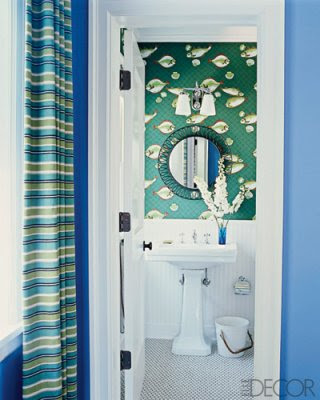 Images from Katie Ridder and Elle Decor. You have read this article Katie Ridder / powder room with the title Was it always there?. You can bookmark this page URL http://ourpicturewindow.blogspot.com/2010/11/was-it-always-there.html. Thanks! No comment for "Was it always there?"